A Korean court dismissed the lawsuit filed by boy band Block B against their own agency, Stardom Entertainment, last January, ruling that there was not enough evidence to issue an injunction to stop their exclusive contracts with their management. The boy band accused Stardom of not paying their income and mismanagement. They also alleged that Stardom's CEO, a certain Mr. Lee, collected 70 million won (P2.68 million) from their parents and ran away with the money. The money was supposedly used for promotion. "From the evidence provided so far, it is difficult to claim that the label purposely did not pay Block B. It is also difficult to say that the label did not provide proper facilities such as studios and dorms, and it is also difficult to say that they did not provide education and guidance. From written records, it cannot be said that Stardom Entertainment violated their management obligations," the Seoul Central District Court said in its ruling, according to Allkpop. While the court said that the income from the musical amounting to 430 million won (about P16.17 million) and event amounting to 5 million won (P188,125) was not settled properly, it ruled that this did not mean that Stardom intentionally kept it. It said Stardom promised to pay any income that is due Block B. 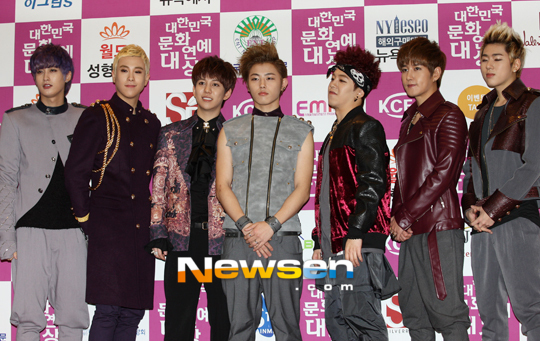 Despite the ruling, Block B members are determined to fight Stardom Entertainment and vowed not to work under the agency. "From this, we will be calmly fighting the original case to confirm the legitimacy of the contract nullification. We will be demanding responsibility from Stardom Entertainment of the violation of management obligation and violating the exclusive contract," said Block B in statement, according to Allkpop. The boy band added, "The Block B members have no intention to promote under Stardom Entertainment, so they will be preparing independent promotions. If the legitimacy of the contract nullification is not acknowledged in the original case, then we will be taking responsibility for the due damages." Last month, the former CEO of Stardom who was embroiled in the case, committed suicide. Mr. Lee, who allegedly took off with 70 million won from the boy band's parents and disappeared, was found dead in his home on May 20. He reportedly took his own life in the basement of his house. His body was found by a friend on May 20. No signs of foul play were found by the police.